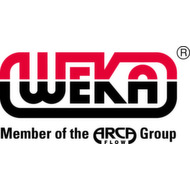 Your request is sent as an email to the registered contact with us at Weka AG. WEKA is a leading manufacturer of instruments for Level Measurement of Liquids, Cryogenic Components and Special Valves. With about 60 employees our company reacts fast on clients needs. Our strengths are development, production and testing of tailor-made solutions for Level Measurement of Liquids based on the float principle, as well as for cryogenic components and special valves. We guarantee for high-quality products. More than 90 percent of the turnover is realized abroad. Sales of instruments for Level Measurement are done through a worldwide net of qualified representatives. For cryogenic components and special valves you can address directly to us. In all mentioned product lines the entire supply chain such as development, marketing, sales, manufacturing, assembly, testing and quality insurance is secured throughout the process. WEKA Magnetic Visual Level Indicators (VLI) are level measuring instruments based on the magnetic-float-principle. The basic execution visualizes the liquid level of a tank clearly without using any electric energy. Electronic signals can however be generated with the use of either magnetic switches or else with transmitters for continuous supervision of level. Interface to HART-protocol or to fieldbus systems (Profibus or Foundation Fieldbus) is available. Main field of application is to be found in process control systems for all industries needing supervision of liquid levels. The VLI is usually mounted on the sidewall of a tank. Due to the physical rule of communicating vessels, the liquid level inside the tank as well as the level inside the bypass pipe is identical. For in-ground tank systems top of tank designs are available and furthermore custom made VLI for OEM executions. The actual liquid level is indicated by a colour-coded flap chain mounted on the outside of the float guiding pipe and triggered by the magnet inside the float. This same magnet also actuates optional switches as well as transmitters. Considering the large variety of applications different models of VLI are available. Operation pressures from technical vacuum up to 630barg, operation temperatures ranging from cryogenic conditions up to 400°C as well as liquid densities all the way down to 0.27g/cm³ are within WEKA’s scope of supply. WEKA Tank Level Instruments (TLI) are also level measuring instruments based on the magnetic-float-principle. However TLI are mounted inside a tank and generate an electronic analogue signal of the liquid level. The TLI design can also be used as an electrical level switch if requested. Highly sophisticated TLI can also be manufactured for the implementation in to the marine field. WEKA Stainless Steel Needle Valves are used for shut-off or purge as well as for flow-control applications. Valves can either be packing sealed or bellows sealed. As a standard such valves are executed in stainless steel grade 316/316L. However they are also available in higher grade of steel alloys such as 904L, 254SMO, duplex 2205, several grades of Ni-based alloys like Monel, Hastelloy, Inconel or Incoloy as well as also in Titanium grades. Service temperatures from -196°C up to 400°C are available. Pressure range is between high-vacuum up to 1000bar. WEKA stainless steel valves are supplied in a size range starting from DN4 up to DN25 and for standard pressure ranges from PN20 to PN420. Our valves are designed as manual executions or else with pneumatic piston or diaphragm actuators. Special designs with electric or hydraulic actuators are also available. Further process components like relief valves for biotechnical applications, overpressure valves for fine chemicals and fine filters can be manufactured upon request. WEKA Cryogenic Components serve applications in ultra low temperatures down to 1.8K (-271°C). Main fluids are liquefied gases such as Helium, Hydrogen, Nitrogen, Oxygen etc. The full product range includes control- and shut-off valves, couplings, check valves, flow sensors etc. where components are needed to handle the flow of fluid. Applications in basic research, in plasma and fusion power research as well as in further cutting edge technologies are continuously requesting new product ideas and developments. Cryogenic technologies such as space qualified cryogenic components, future energy technologies based on Hydrogen, basic- and fusion power research projects and others are in high demand for cryogenic valves. WEKA cryogenic components are supplied in a size range starting from DN2 up to DN250 and for standard pressure ranges PN20 to PN50. Special applications can even request for PN1000! Our products also include the famous “Baettig” cryogenic valves and furthermore other space qualified cryogenic components which can be developed upon request.